To finish up my week long Butterfly Party theme kick, here are a few more food ideas. 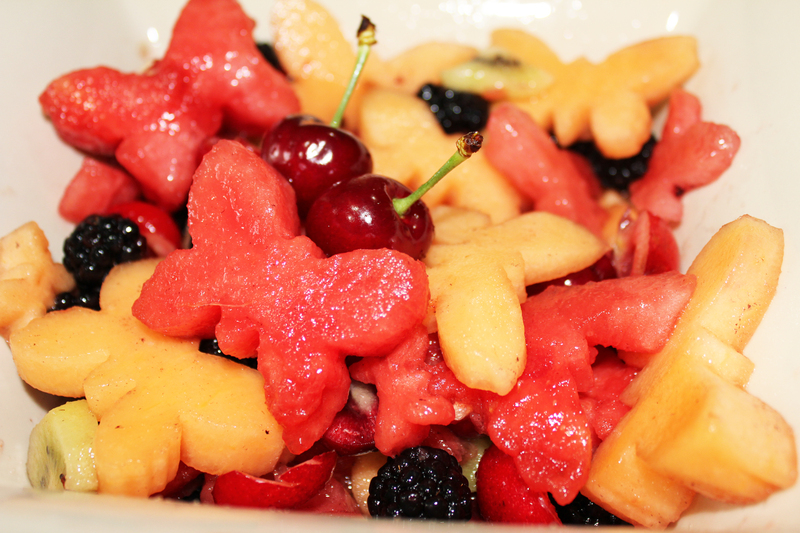 Butterfly Fruit Salad was super easy to make and looked pretty impressive. 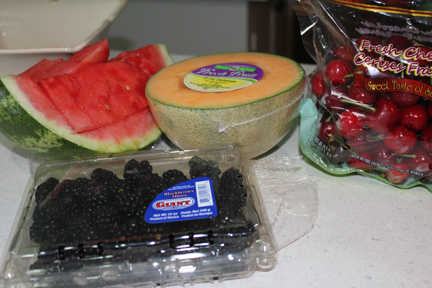 Ingredients included watermelon, canteloupe, cherries and blackberries but you could use whatever fruit you have on hand that is in season. 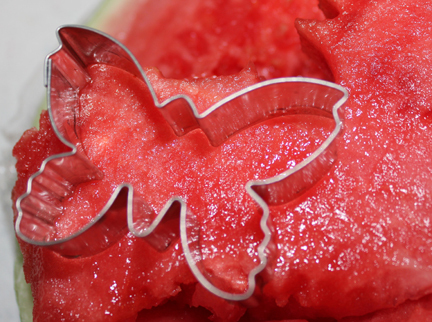 You do need melon to do the butterfly cut-outs though. I peeled the melon and cut it into flat chunks about 1/4 inch thick then pressed in the cookie cutter. 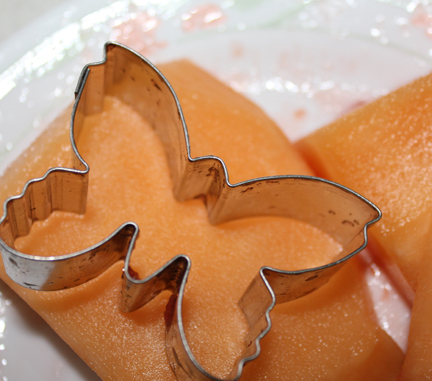 The cantaloupe is a little harder to cut, but totally worth the effort. The melon is easy-breezy to cut into. I used two different sizes of cookie cutters. 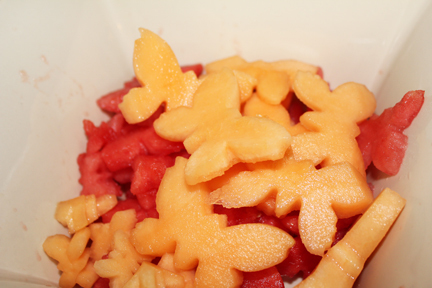 And the result was a bowlful of fun butterfly shaped melon. 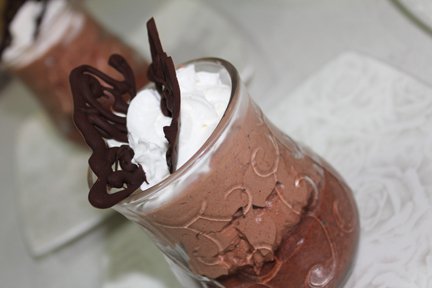 The last and final thing I served at the party was chocolate mousse cups with chocolate butterflies. I used a mousse mix, but you can certainly make it from scratch of you so desire. 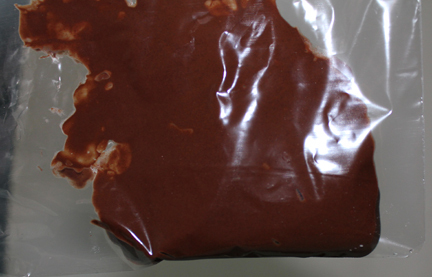 I melted a handful of chocolate chips and then spoon them into a ziploc bag with the corner cut off one end. Make the opening pretty small or you’ll have extra fat butterflies. 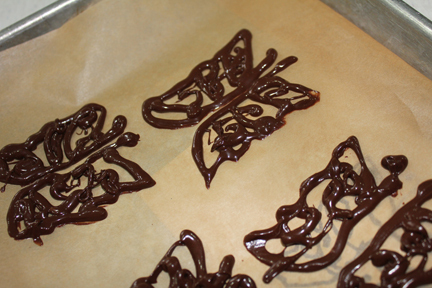 The pattern for the chocolate butterflies. Mine is a little freaky, so draw your own if you like. Freeze until firm (you can make these days ahead of time, if you like. Just don’t touch them any more than you have to. They are fragile and melt in no time flat. When you are ready to serve. Add a dollop of whipped cream to the mousse, remove the butterflies from the freezer then nestle into the whipped cream. A fun, whimsical way to end a party!